The first of several Lord of the Rings and The Hobbit characters. 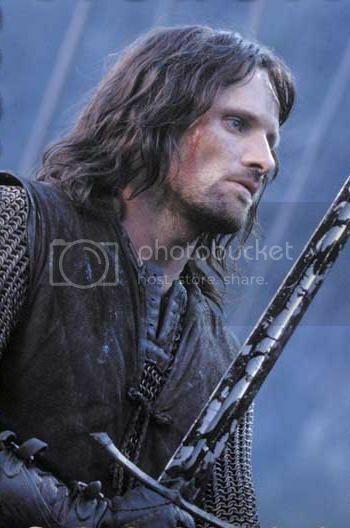 Aragorn is derived from my 2E build, but is a lower PL character over all. The reason being I wanted him to be more similar to where one might see James Bond than a superhero. Last edited by Beleriphon on Mon Jan 13, 2014 4:18 pm, edited 1 time in total. 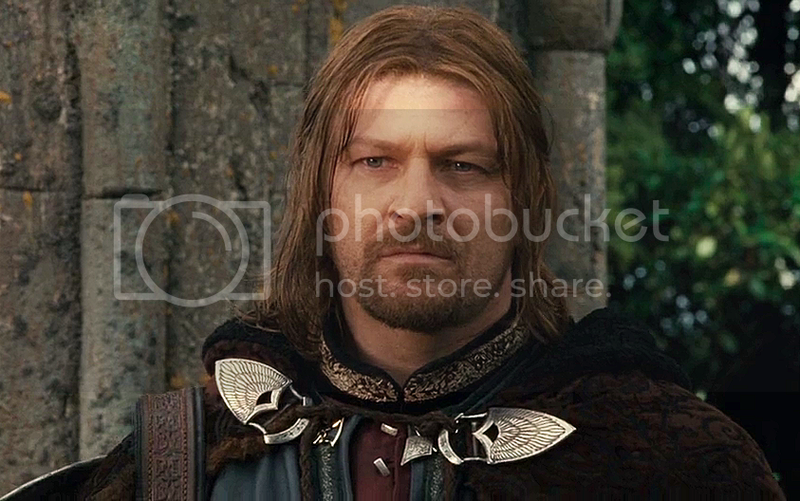 Corruption of Men: Boromir is particularly susceptible to the corrupting influence of the Enemy. Boromir is an excellent swordsman and slightly tougher than Aragorn. Last edited by Beleriphon on Mon Jan 13, 2014 4:20 pm, edited 1 time in total. Heavy Burden: Frodo is burdened with carrying the One Ring to its final destruction. He refuses to let others carry his burden, out of fear that they will succumb to the ring as well as due to the corrupting influence of the One Ring. Frodo's hobbit physiology is common to all hobbits in that they seem to be highly resistant to the corruption of The Enemy. Last edited by Beleriphon on Mon Jan 13, 2014 5:53 pm, edited 1 time in total. 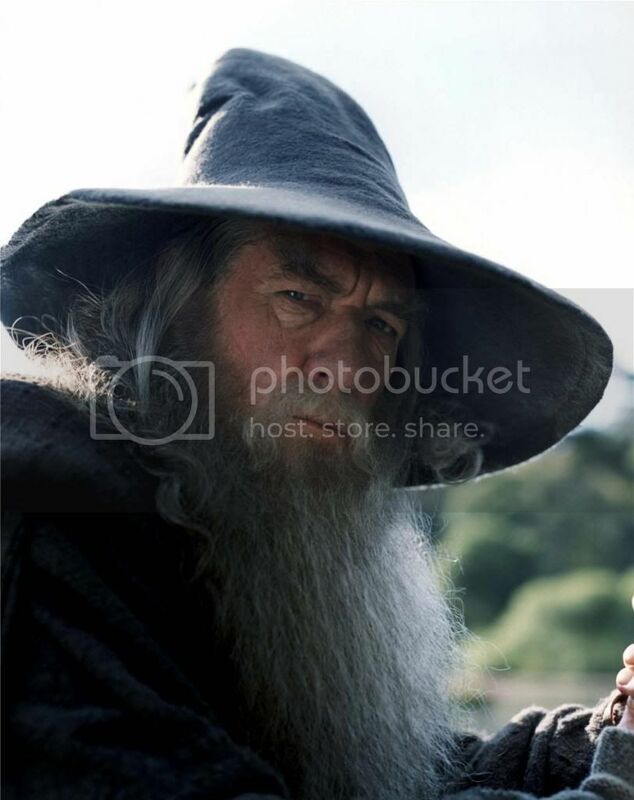 Power Loss: Gandalf cannot use the powers of his Magic Array without his staff. This is Gandalf the Grey. Perfectly usable for either The Hobbit or The Lord of the Rings. Gandalf the White is basically the same with a nicer haircut and a beard that doesn't look like an owl's nest (as compared to Radagast who's beard actually is an owl's nest). Last edited by Beleriphon on Mon Jan 13, 2014 4:43 pm, edited 1 time in total. 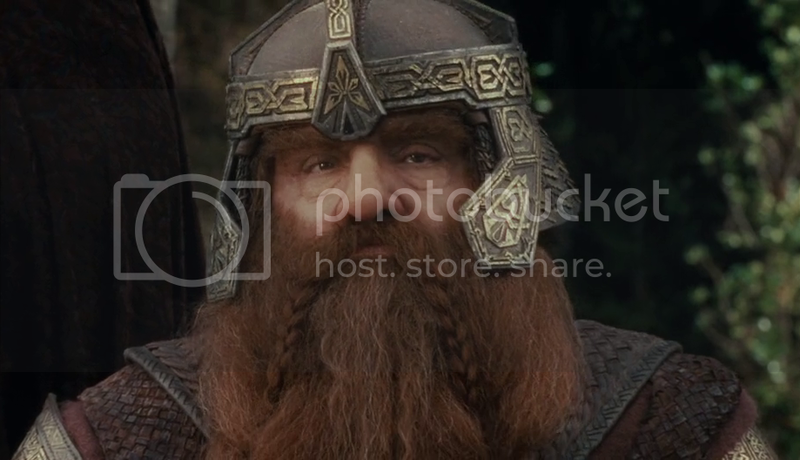 Gimli is a dwarf. Expect all dwarves I create to share his Khazad Physiology. Destiny: Legolas is destined to leave Middle-Earth for the Undying Lands shortly after hearing gulls. 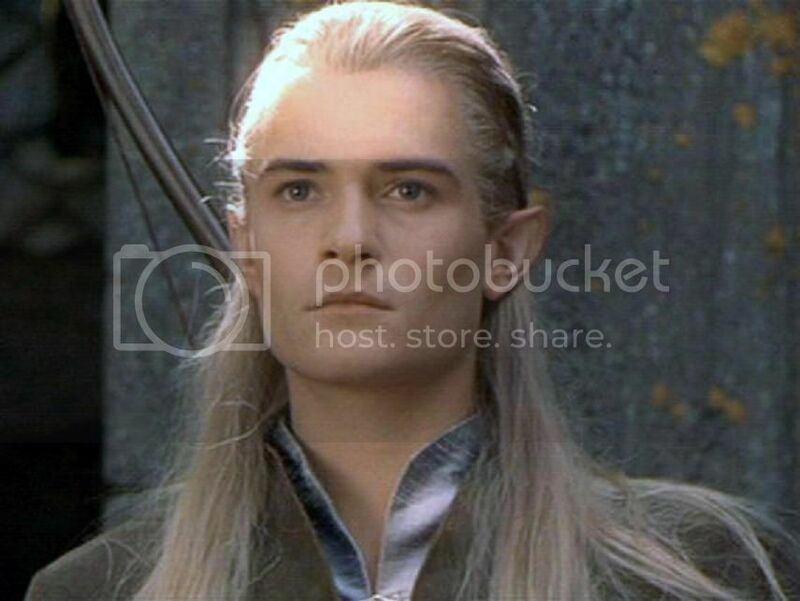 Legolas is one of the Green Elves, or Sindarin, of Mirkwood. His father is Thranduil the king of the Sindarin. Last edited by Beleriphon on Mon Jan 13, 2014 5:39 pm, edited 1 time in total. Merry is Frodo's cousin twice removed (I think, I'm not exactly clear on how these things are reckoned) and a brave and honest fellow. He's also not a Man so he's part of the prophecy that no Man shall destroy the Witch King of Angmar. 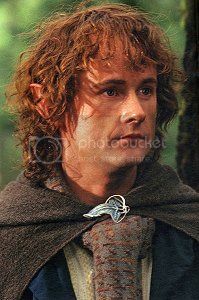 Fool of a Took: Pippin is impulsive and often acts without thinking. This can lead to his getting to, or causing, trouble. 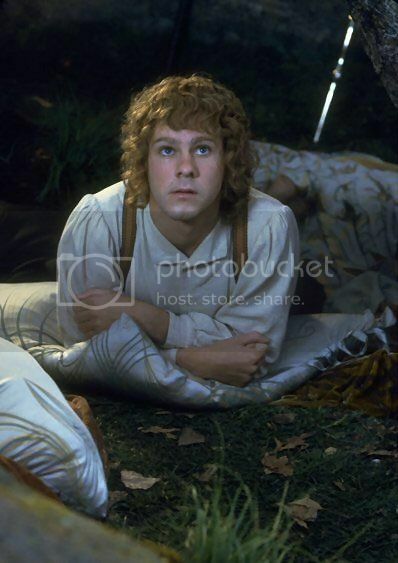 Peregrin, or Pippin, is the youngest and most foolish of the hobbits. He is impulsive and acts without much forethought. That said he is brave and loyal and willing to fight to protect his friends. 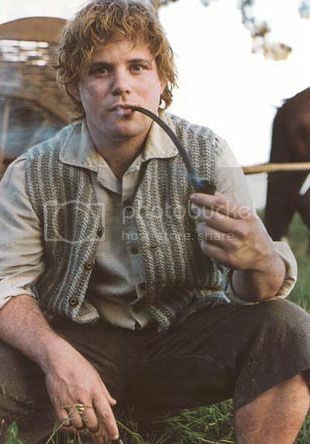 Sam is Frodo's closest and dearest friend. He's also the bravest most loyal soul in Middle-Earth bar none. Aragorn and Boromir were described in the books as having borderline Numenorean physiques, being descended from the supernaturally strong and durable men who were strong enough to use steel longbows as their primary ranged weapons. They should probably be a respective 5 and 4 in strength, at least. Gandalf is not human at all and is in fact the same race as the Balrog, and managed to fight it with a sword for several days of solid combat. The odd thing is that the explanation for the difference between his status as Gandalf the Grey and Gandalf the White is that he's allowed more access to his inherent powers as a member of the Maiar. Legolas is a Middle Earth elf, and contrary to most other fantasy, they're physically stronger than humans, with Legolas himself almost certainly being at least as strong as Aragorn. If for no other reason than the fact that bows require a substantial amount of strength to use. Lest I ever argue with somebody that names themself after the sword of Elendil. Honestly, a lot of people tend to low-ball Lord of the Rings, when really they're some of the few fantasy characters who ought to be able to keep up with superheroes, given the setting's nature as being full of mythologically-strong individuals, shapeshifters, powerful wizards, and people who can one-shot a dragon with the black arrow. I assumed that Bard sinply had a feat (or two) that let him double the effect of his criticals only if he takes thr Aim action. So, he takes a round to Aim, snakes some All-Out attack and Power Attack, then rolls a natural 20, and raised his damage by a ton due to special combination of Benefits. Smaug comes rolling by, Bard has his aimed shot, boom, hits the weak spot (Power Loss complication for Smaug), and hands his really damaging critical. Smaug tanks the save (given that his Tougness is lowered likely by the power loss of Protection and Impervious, as well as the high damage rank of Bard's epic-ly damaging all out power attacking crit with his bow). Eh. I haven't seen the Desolation movie yet, so it may be different there, but this is what I assumed just from reading the book. The sparrow (or was it a finch?) tells him of Smaug's weakness, Bard exploits it to trigger the Power Loss, then gets lucky as his build is geared towards crits and he rolls that natural 20 while All-Out Power Attacking. For that matter, you may want to give the dwarves the ability to understand Ravens... Or maybe it's the Ravens who can speak the Common tongue? kenmadragon wrote: For that matter, you may want to give the dwarves the ability to understand Ravens... Or maybe it's the Ravens who can speak the Common tongue? I suspect it's the later given the fairy story like quality that The Hobbit has, and the fact that ravens in European myths can talk surprisingly often. I suspect its related to the fact that ravens seem to be able to understand speech in general. The book is overall more friendly feel, Smaug banters with Bilbo before trying to eat him after all. As for Bard he blows a hero point to use his Ultimate Aim advantage along with Power Attack and everything else. Ravens actually have a parrot-like ability to mimic human speech, and are at that incredibly intelligent animals, so that isn't entirely surprising.